Omelets are certainly not just for breakfast! In France they are solidly a lunch or dinner dish, often accompanied with les pomme frites (french fries) or la salade (salad). When I started out writing this hub, I had yet to achieve the title's challenge. In fact, it's likely I had never even made an omelet. Ever. Why? I eat eggs probably three times a week, and every time I set out with the intention of making an omelet. But every time, the omelet somehow devolves into scrambled eggs. 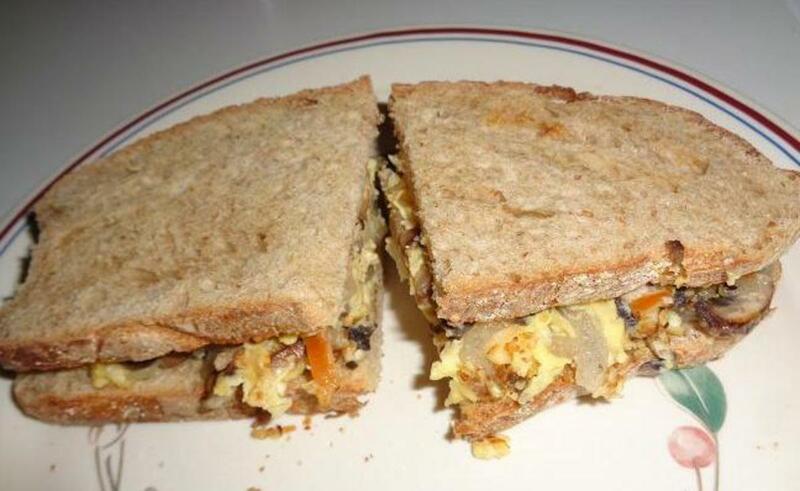 Scrambled eggs are also quite delectable but (a) they don’t hold fillings like cheese and broccoli the same way, and (b) they are not as visually appealing, and thus it’s harder to impress your friends with scrambled eggs for dinner. What is the number one problem for omelet makers? The bottom burns to the pan turning brown and dehydrated, while the top remains runny. My reaction is to panic and attack the golden orb in my pan with a fork, scraping up the bottoms and turning it over. Scrambled eggs again. So I interviewed my friends, consulted famous chefs (via their internet presence), and discovered a few key techniques that led me to making my first successful omelet ever! Watch How Jamie Oliver Makes an Omelet! Rule #1: The best pans to use for cooking an omelet are cast iron or nonstick. Well-seasoned cast iron pans are beloved amongst chefs. Oils are absorbed into their pores, creating a layer that keeps the food from sticking. There are many other benefits to using cast iron pans - such as increasing the iron content of your food - but this nonstick feature is the one we care about most for not burning omelets! Unfortunately, I had neither a nonstick or cast iron pan available to me. Thus I had to go to Plan B: oil. When cooking with butter on the stove, it's best to use "clarified" butter, which has no milk solids and therefore does not burn on high heat. 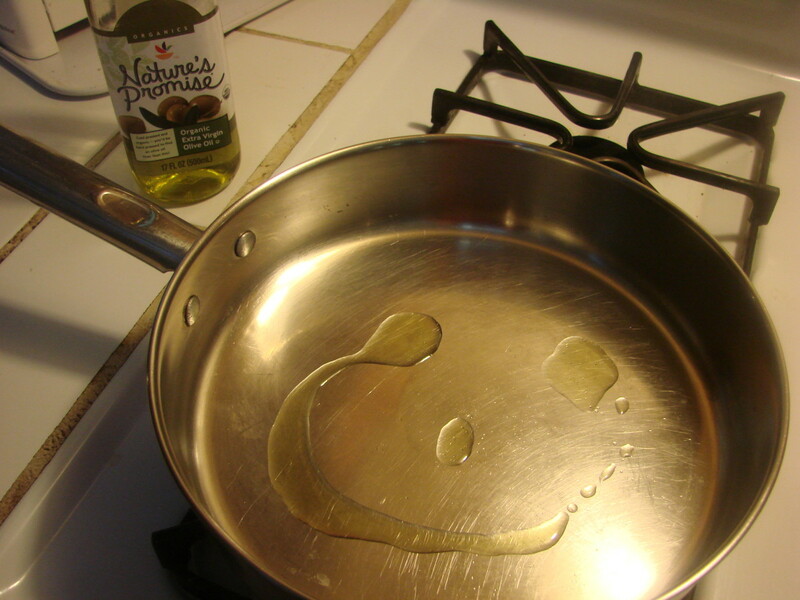 Rule #2: let the oil or butter heat in the skillet first before adding your egg mixture. As a rule of thumb, when cooking with oil and butter you want it to first have its solo heating time before adding other ingredients. Unheated fats will simply soak into the other ingredients, rather than searing them and acting as a nonstick agent. (Think soggy vegetables and oily meats rather than browned!) 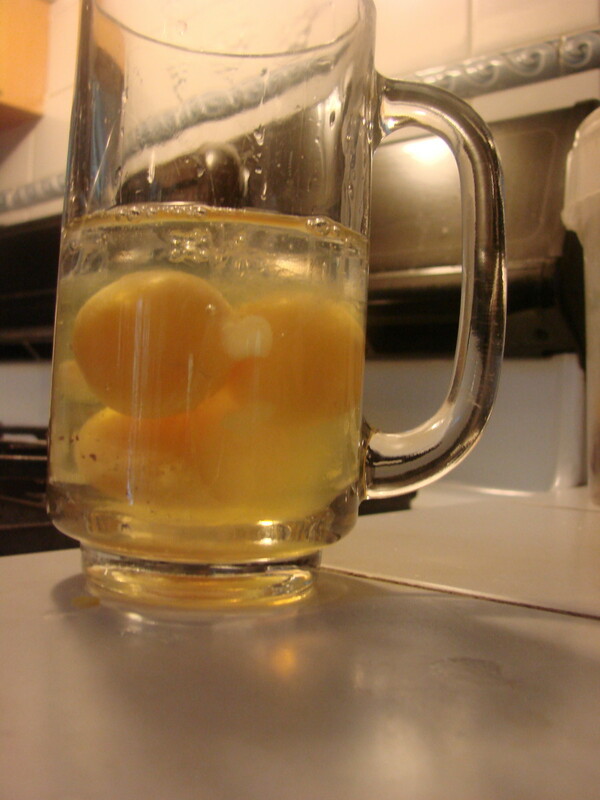 The heated oil or butter should act as a thin film on the pan for the egg to float on. Rule #3: Cook the eggs 30 seconds on medium-high to sear the bottom, then turn the flame all the way down to low. Then turn the heat way down to low. That's right, all the way to low - I don't care if you're in a hurry, the extra minutes of low heat cooking could mean the difference between an omelet and scrambled eggs. And there's nothing worse than overcooked eggs, which turn crunchy and porous. Shudder. Rule #4: There are no rules, and there are many methods. There are varying techniques to cooking the top of the omelet. Some people cover the pan with a lid to trap the heat. It's also possible to put the entire pan into the oven for a few minutes (make sure it's oven safe!). These techniques are especially good if you want your added fillings to heat more. However, for my first omelet I went with what I'll call the 'scratch and fill' method. 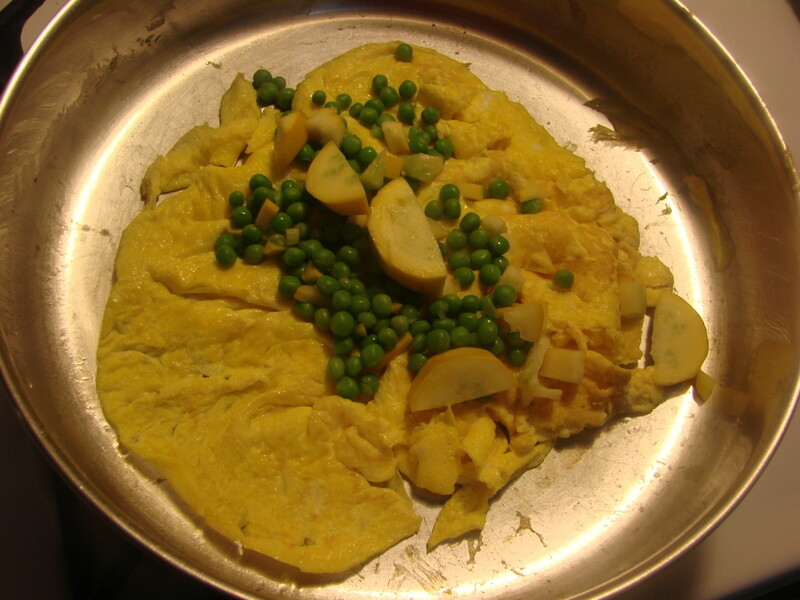 Using a spatula, I peeled at the edges of the omelet and tilted the pan, allowing the runny interior to fill in the gaps. Some chefs poke holes in the middle, allowing the runny parts to make more pan-contact. I tried this hole-in-the-middle technique as well, and found that they never closed up fully, leaving my omelet with a slightly uneven texture (gasp!). How Do You Know When To Flip an Omelet? Rule #5: It's ready when it jiggles like a belly! 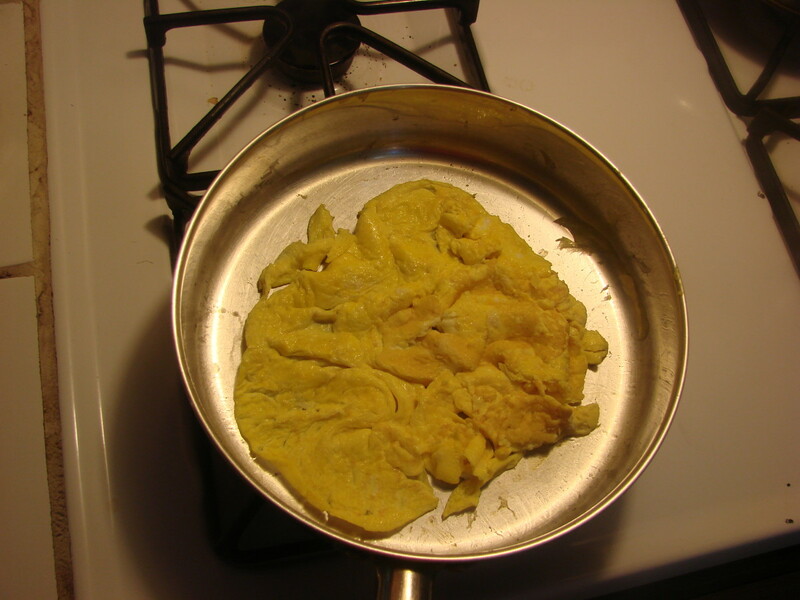 If you use the "scratch-and-fill" technique, you will still probably need to flip the omelet. How do you know when to do this? 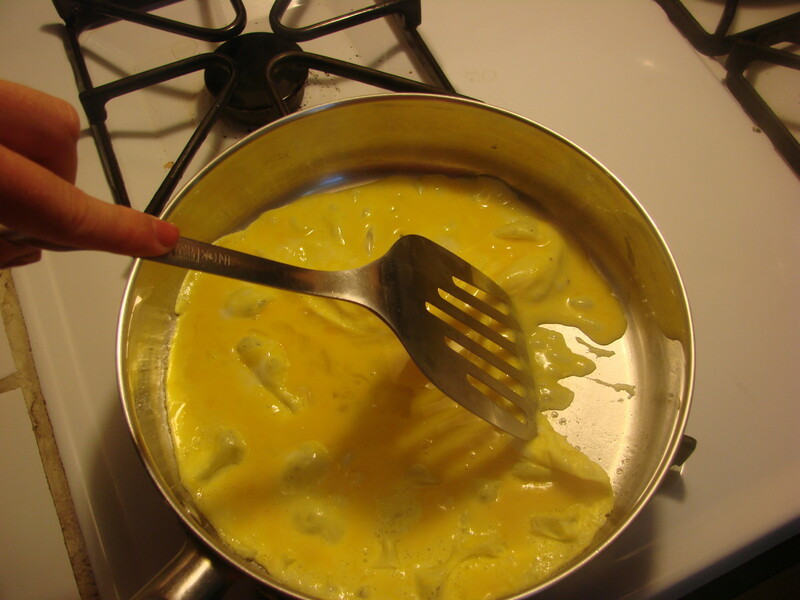 When you shake the pan the omelet should jiggle like a good belly, without goop spilling out. When it comes to flipping, there's no great technique I can recommend other than confidence and quick-twitch wrist muscles. You will know the omelet is done when it is a uniform bright yellow. 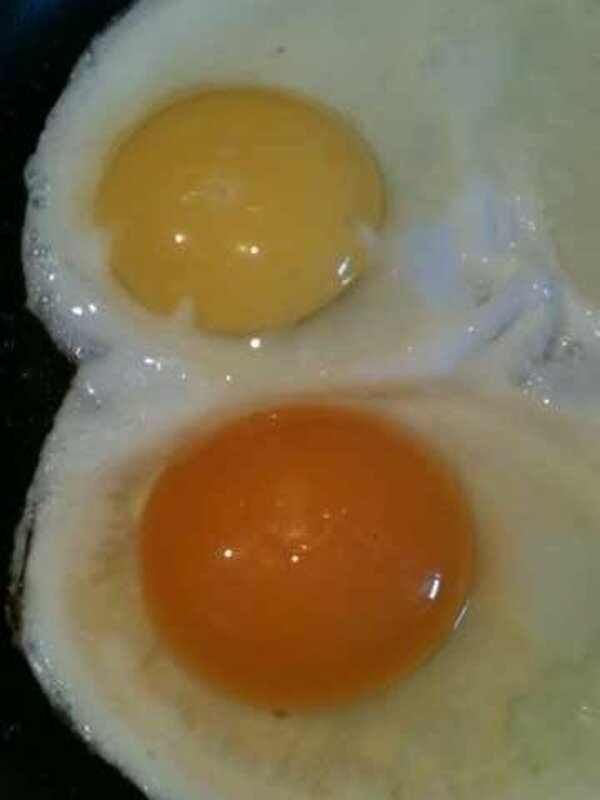 You may be concerned about the cholesterol content in eggs, but the nutritional science shows that dietary cholesterol is not necessarily linked to levels of cholesterol in the blood. Further more, most of the fats found in eggs are unsaturated, the healthier kind of fat that can actually block cholesterol absorption when eaten in place of saturated fats. But that’s a whole other hubpage! How many eggs to use? I use 3, and frankly, I’m tired of people judging the three-egg omelet as lumberjack sized. Eggs are an excellent and quick-to-cook source of protein and healthy fats. A well-sized egg is about 70 calories. Three eggs is thus 210 calories. Let’s say my toppings of veggies and cheese, and my use of a pat of butter for non-sticking purposes bring me to 360 calories. If I add that to a side of rice or a tortilla, it still is a sub 600 calorie meal. 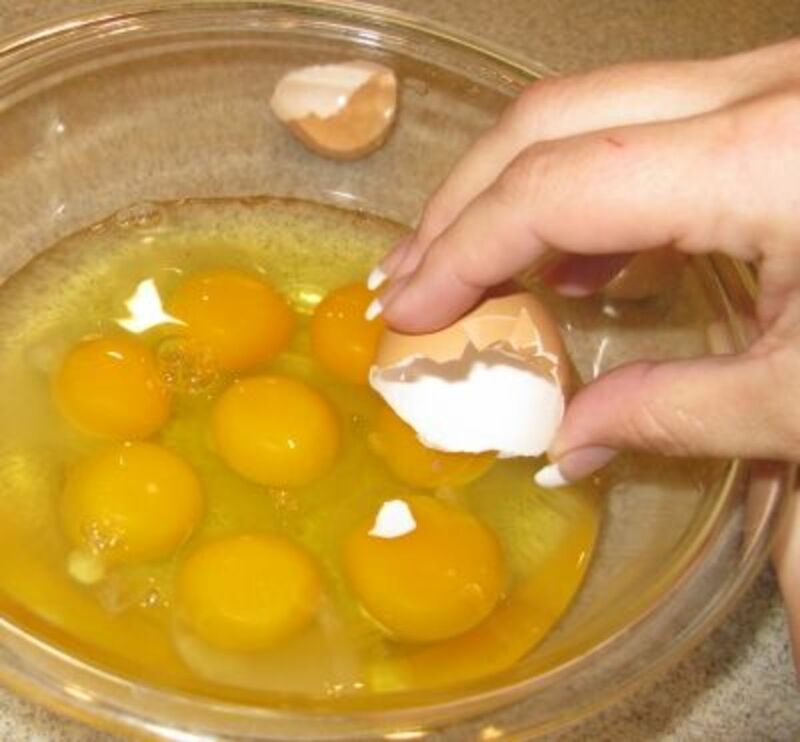 Add a few tbsp of water, milk, or cream to your beaten eggs to make a fluffier omelet. (I've also used soy milk and it comes out nicely!) When I learned this technique it explained so much to me why restaurant eggs were worlds silkier than my own made at home. Jamie Oliver however says he goes au naturel with his omelet base – adding nothing extra to the eggs! Whisk the egg/milk/water mixture for a full minute. This is beating air into the eggs, also maximizing your omelet's fluffiness factor. Cook your filling ingredients separately. I am a bit lazy or efficient, depending on how you look at it, and like to steam my greens like chard, spinach, or kale, in the same pan as where I’m going to next cook my eggs. 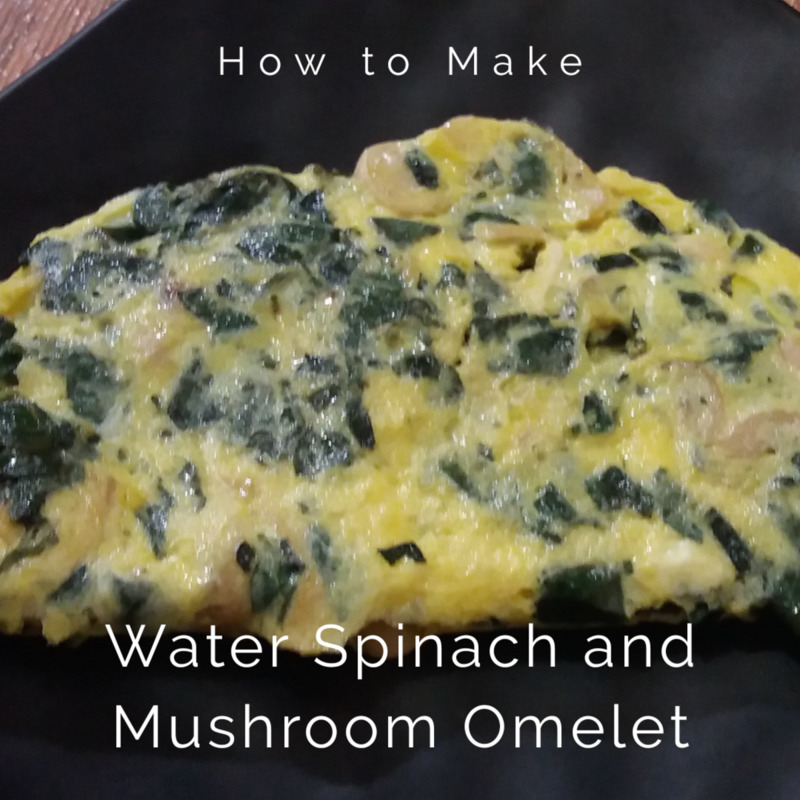 Which saves me from washing an extra pot, but it also makes my eggs a little soggy from the extra moisture, and contaminates my whole omelet with the taste of leafy greens. Not really what you want. Instead cook your vegetables separately, and drain off any excess water. Add your filling ingredients after the first flip. If you add them before, it makes flipping quite a chore. If you're going to put your omelet in the oven or cover the pan, you can add the filling ingredients when the top is still a bit runny. 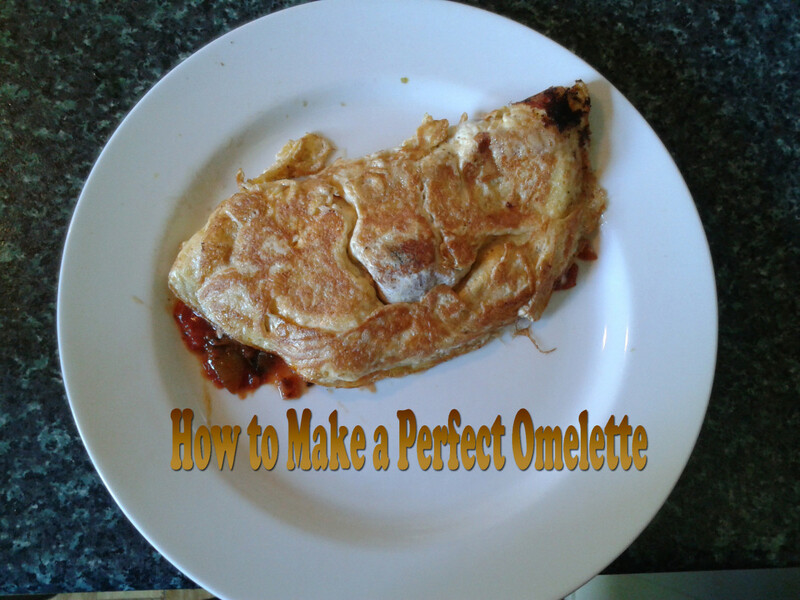 Great tips on how to cook an omelet right. Voted up for usefulness! Thanks Attikos! Your insight is golden! I agree with you fully about butter. Flipping I would prefer to avoid so I'll try not flipping next time. That's so neat to hear your distinction between when to use cream vs. water! before it becomes firm all the way to the top, put on your warm filling, then turn it out onto the warmed plate, upending the pan to fold it as soon as its leading edge hits the china. Thanks! Like you I frequently wind up with scrambled eggs that started out as omlettes and have only accomplished it the one time.